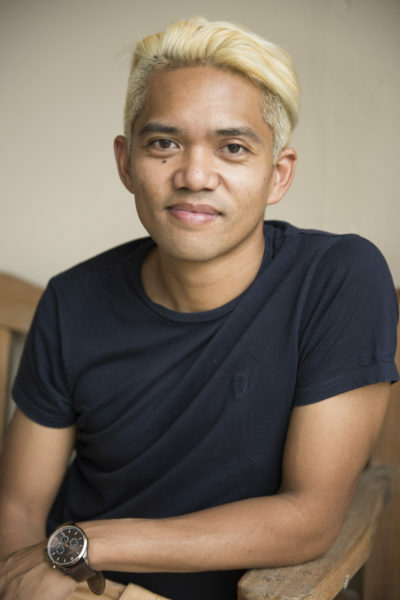 Vonne Patiag is a writer, director, producer and actor based in Western Sydney. His screen acting credits include TV series Seven Types of Ambiguity for Matchbox Pictures and Window, amongst others. Vonne’s short documentary Shading will examine current practices of ‘white-washing’ ethnic skin tones of performers in the film and theatre industries. “The film will critique current arts practices, as many technicians are unfamiliar with the nuances of darker shades of skin, leaving many performers unrecognizable even to themselves. These ideas stem from my own personal experience of acting,” says Vonne. Shading aims to promote inclusivity in the creative sector, using personal voices with strong imagery to celebrate diversity in Parramatta. What drew you to this project? Shading is the culmination of years working in the film and stage industry and feeling there was a problem with how POC [people of colour] are represented and not listened to when it comes to their own representation. This was something I had always sensed around various productions, but it wasn’t until I starred in my short film Window that I wrote and also directed that I felt the experience first-hand. It was strange to see myself on screen and not recognise my own skin colour – it wasn’t anyone’s fault necessarily, but it was almost something I had never been conscious about. I started to talk about the experience more often to peers and found a lot of other POC actors felt the same way – that a certain lighting setup, makeup look, color grade, etc… underserved their skin color, leaving them with the question “Is that really me on screen?” Shading was born out of those private conversations, united with my current creative ambition to create and promote more inclusive production processes in stage and screen. What does cultural diversity mean to you? It’s interesting because my thoughts on cultural diversity have slowly changed really this year. Earlier in the year, I was working on my first full-length play The Life Cycle of Blanco, which focuses on the culmination of casual racism on an Asian actor, and really dived into the issues of racism and representation, particularly focusing on race relations. At first I thought cultural diversity meant ‘not seeing’ colour or race, but now my thinking has changed, and it’s all I can see! If someone doesn’t see your race, they don’t see you, because I believe every part of ourselves is intrinsic to our whole identity, which is something I used to really wrestle with being an Australian-born Filipino, where often in situations I would dilute my Asianness to fit in. Therefore, to me now cultural diversity is the freedom to be yourself within every aspect of your identity, to realise and celebrate what makes you different. That’s the colour of your skin, your cultural heritage, what makes you, you. A wide spectrum of colour is so much more beautiful than no colour at all. What ideas do you explore in your film? Racism is such a broad issue, so I was particularly concerned with narrowing the focus on Shading to skin colour, particularly with how POC performers have dealt with seeing their skin ‘un-authentically’ represented by creative practitioners who aren’t POC themselves. It looks at makeup and lighting practices on stage and screen, and presents a candid experience of being unheard on a set that forces you to be willingly vulnerable. It’s a strange paradox to WANT to be vulnerable and put yourself in situations where prejudice and racism is rife, and this film gives a voice to three POC performers who finally get a chance to share some uncomfortable truths. Did the experience of developing this project change how you thought about your subject matter? Yes. I was very concerned with creating a very inclusive workplace and production considering the subject matter, so Dimitri (DOP) and I crafted an approach that included ‘seeing the set’ within the film. Our thinking was that by being transparent in our production process, it also brings down the fourth wall between filmmaker and subject, which seemed the most inclusive way of making this film, and the best way to create a completely comfortable set for the actors. What I didn’t expect was the apprehension to tell these stories – I think for myself, particularly because most of my work deals with the discomfort of racism and the POC experience in Western Sydney/Australia, I was so used to talking openly about these issues, but all of the actors all commented that this was the first time they had ‘publicly’ spoken about these issues. I was truly shocked that these performers had almost been trained into submission, and they all relayed how liberating it was to speak openly in front of a crew that were listening and open to these ideas. I realised the importance of creating this inclusive production practice in creating a comfortable environment to capture these culturally nuanced moments, and it’s changed my whole thinking around my approach to productions in future. It’s definitely a model that I’m looking forward to creating more work through. What is you filmmaking background? I’ve been a freelance filmmaker for almost ten years now, studying film production at UTS (BA in Communications – Media Arts and Production 2009), and have since worked as a Creative Producer for an agency for five years, and professional editor for four years, and directed numerous commercials, music videos, fashion and corporate spots and short films that have screened nationally at festivals. More of my work can be see at www.cargocollective.com/vonnepat, along with my bio which has all of my latest information.